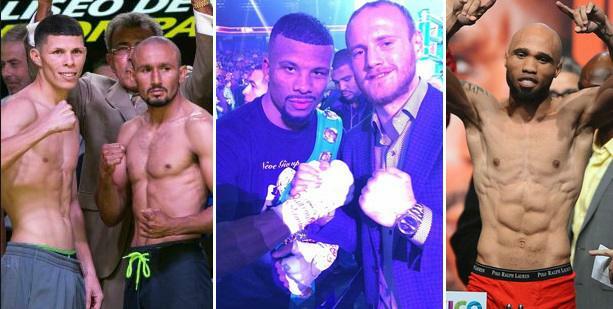 Groves to take on Badou Jack while Roman Martinez vs Orlando Salido will be undercard fights of Mayweather vs Berto showtime PPV with Ishe Smith vs Vanes Martirosyan shown live before the PPV starts on 12th September 2015. Floyd Mayweather has turned what appeared to be a joke at first into reality with announcing his next fight against Angre Berto to take place on Saturday night, 12 September 2015 at MGM Grand, Las Vegas. In another surprise this will be a PPV fights unlike previously stated free-to-air coverage and Mayweather is still insisting that this will be his last fight and he would like to hang up gloves with a 49-0 record after this Berto bout. Since its a PPV fight with a not so attractive main event between Mayweather-Berto, Showtime and mayweather promotions has lined up a decent undercard with british George Groves vs Badou Jack for world title and Roman “Rocky” Martine defending his WBA junior lightweight in rematch against Orlando Salido. Thats not it there is another decent fight in Ishe Smith taking on Vanes Martirosyan which will be televised before the PPV encryption starts on 12 September 2015.